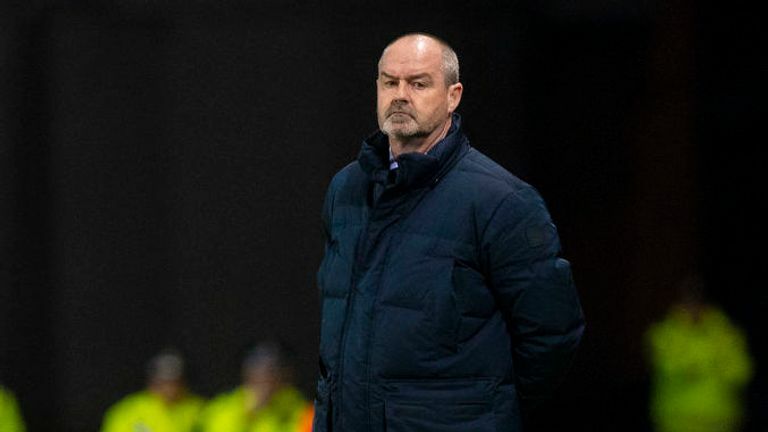 Kilmarnock board "fully behind Steve [Clarke] in condemning sectarianism in all its forms"
Kilmarnock manager Steve Clarke and striker Kris Boyd will address the media together on Friday, after both were allegedly targeted with sectarian abuse in separate incidents within a week. 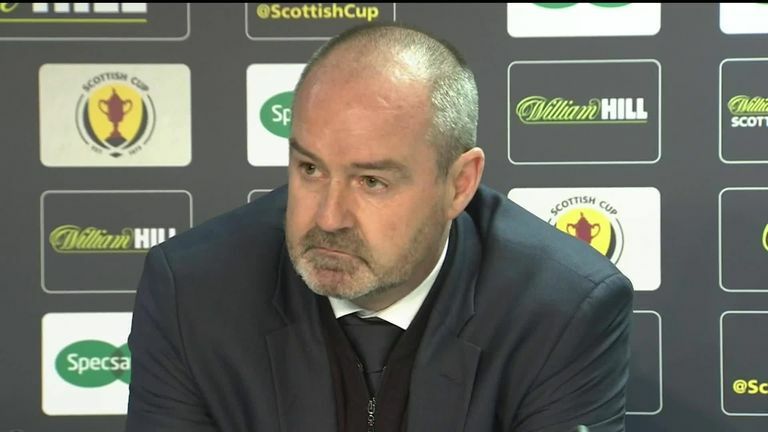 Clarke says he was subjected to sectarian abuse during his side's Scottish Cup fifth-round replay against Rangers at Ibrox on Wednesday and accused some fans of living in the "dark ages". Boyd and Clarke's news conference will take place on Friday, February 21 at 9.30am. Following Clarke's comments, a Rangers statement said: "Rangers Football Club wishes to make it clear unacceptable behaviour will not be tolerated at Ibrox. Everything possible will continue to be done to eradicate this kind of behaviour." Rangers manager Steven Gerrard echoed that sentiment in his media conference on Thursday, in which he made it clear that the club "want to try and stamp it out of the game in general." 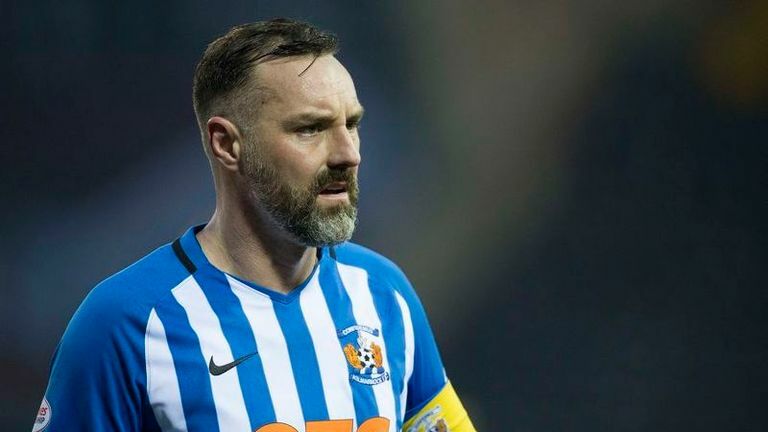 On Sunday, Boyd was allegedly subjected to sectarian abuse during Kilmarnock's Scottish Premiership match against Celtic and was also struck by a coin while warming up on the touchline at Rugby Park. 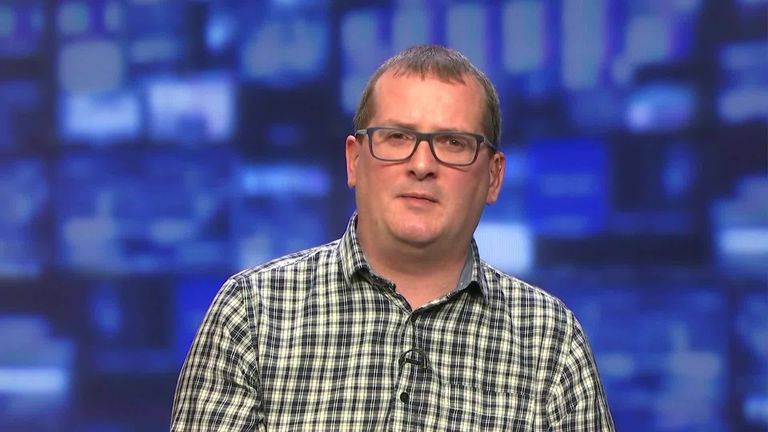 Speaking about the incident, Boyd told Sky Sports News: "It is a sad day for Scottish football once again because the product on the pitch is good, the managers are good, there is a level of competition where everything should be positive, but there are certain idiots in crowds that are causing their clubs various problems."